Fixed bug affecting the “keep product prices fixed” feature. The bug was introduced in WooCommerce 3.2.x, due to an unexpected change in the tax calculation logic. The glitch affected the calculation of cart subtotal, which was calculated incorrectly. Specifically, the first product having its price fixed, while next products would have taxes added or removed to their price, depending on customer’s address. 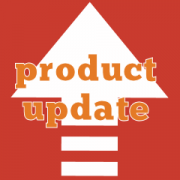 This update includes a workaround to make sure that product prices will remain fixed in WooCommerce 3.2.x.